More Savings and respect for the environment! 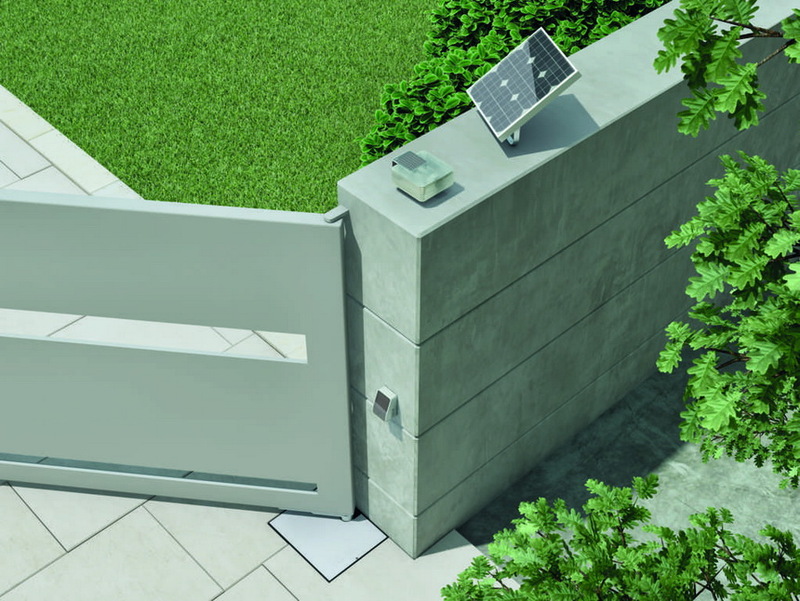 There is no restriction to the type of gate automation which can be used with this solar power technology. 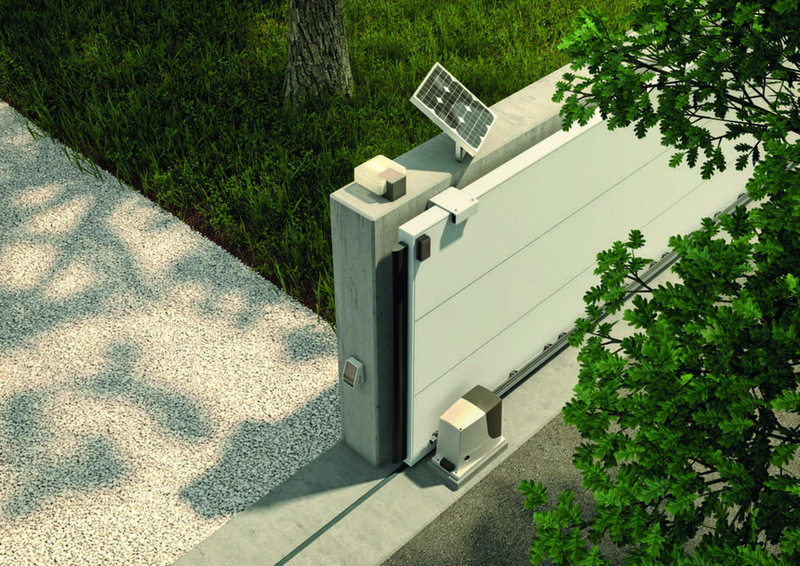 Therefore, swing, sliding automation including boom gate operators & underground operators can all be powered via solar panels for residential commercial and industrial applications. A huge benefit for customers with very long driveways and large properties away from mains power supplies, this is why solar is beneficial and affordable. Without the need for connections or excavations, even in the most remote locations or those difficult to access with the power mains. 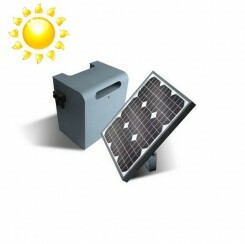 Thanks to solar energy, free and clean: an ecological and intelligent choice with considerable savings. Extended duration of energy reserve, combined with low consumption of automations, guarantee operation also in prolonged overcast conditions. 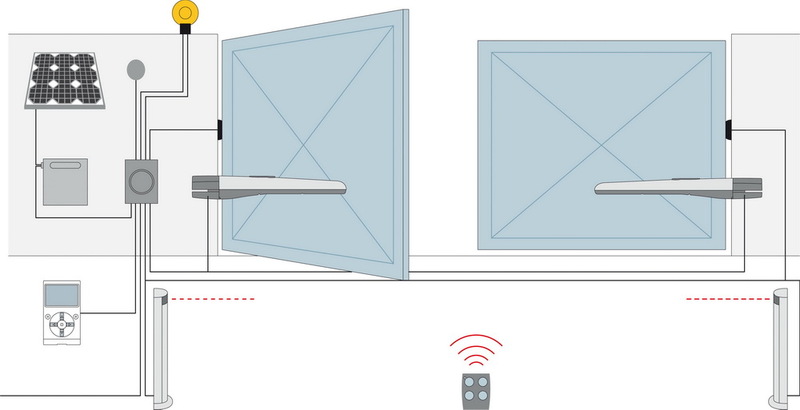 Thanks to NRC (Nice Radio Connection) and Solemyo, Nice makes the installation process in a simple and convenient, especially in existing buildings, which are the majority, removing any obstacle to bring automation systems. Nice job putting the sun in home Automation!